September 10th, 2013 | Lifestyle. 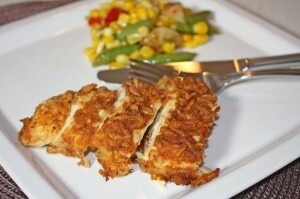 Wheaton Van Lines is back with another addition of our popular and easy-to-make dinner recipes, this week featuring chicken dishes. Perfect for filling your families stomachs after a long day of moving, these recipes are delicious and easy. Make sure to catch up and check out our Easy Dinner Recipes – Part One for a tasty meatloaf, baked ziti, and more. Also, be sure to follow Wheaton on Pinterest for more meal ideas! Preheat your oven to 350 degrees. Mist or spray a shallow baking dish with cooking spray or oil. Combine the flour, Parmesan cheese, pepper, paprika (or garlic powder) in a shallow dish. In a separate bowl, place the beaten egg white. Dip the chicken breasts in the egg white, then dredge in the flour/cheese mixture. Place coated chicken in dish and bake for 45 minutes to 1 hour uncovered (cooking time depends on the size of your chicken breast). Do not flip halfway through. It will be done when the coating is brown, and when pierced, it’s not longer pink and the juices run clear. Preheat oven to 400 degrees F. In nonstick 12-inch skillet, combine frozen vegetables, undiluted soup, milk and pepper; cover and cook over medium-high heat until vegetables are thawed, stirring once. Stir in chicken. 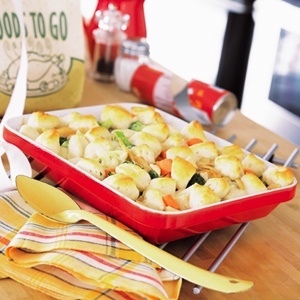 Transfer chicken mixture to shallow 3 1/2-4 quart casserole of 9×13 ceramic or glass baking dish. Top with biscuit quarters, leaving space between pieces. Bake 20 to 25 minutes or until biscuits are browned and mixture is heated through. In a large mixing bowl, blend together the chicken soup, sour cream, milk and seasonings. Add 1 cup of the cheddar cheese, and the remaining ingredients and thoroughly blend together. Pour into the prepared baking dish, cover with foil, and bake for 40 minutes. Remove foil and sprinkle the remaining cup of cheese across the casserole. 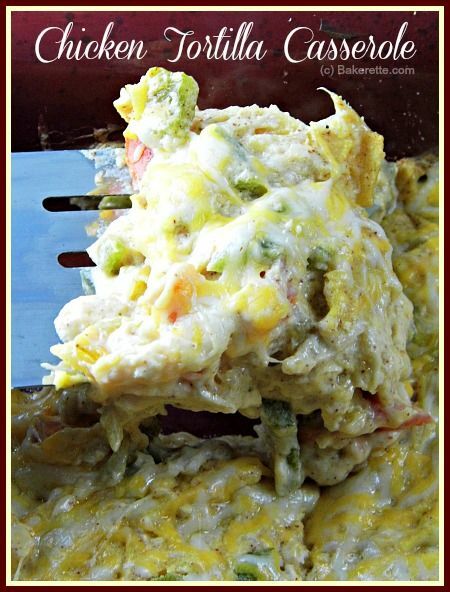 Cook an additional 5 minutes uncovered or until cheese is melted and casserole is bubbly.